One of memory manufacturers' most difficult challenges is finding a cost effective method of testing their products so they can minimize the time to market and field failures/returns. To facilitate this costly and time consuming process, they must incorporate the two (2) step testing method. Capital expenditures, for the equipment and manpower required to perform this extensive testing, often result in budget overruns for various cost centers. To assist manufacturers in their efforts to control costs, TurboCATS introduces the new TCIII-3200ST multi-site test system. The user selects the target system motherboard and connects it with the TurboCATS III-3200ST. Once the functional testing of the memory is completed, the system automatically switches to begin the motherboard compatibility testing. ONE OPERATOR + ONE SYSTEM=$ saved for the memory manufacturer. 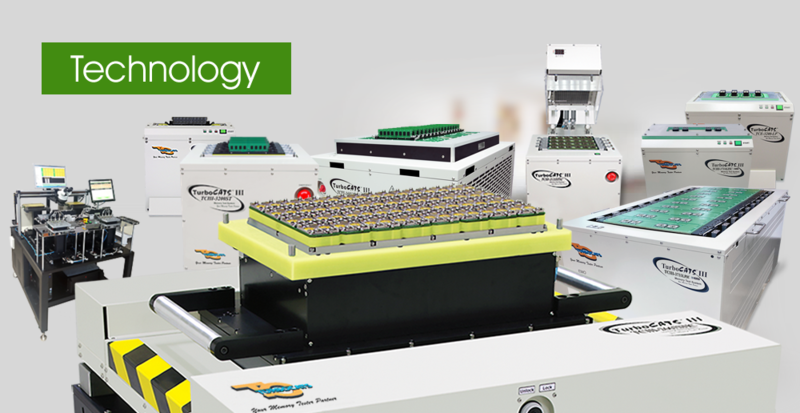 Labor costs, equipment costs, field failures, and time to market are all reduced when manufacturers utilize the TCIII-3200ST test system. 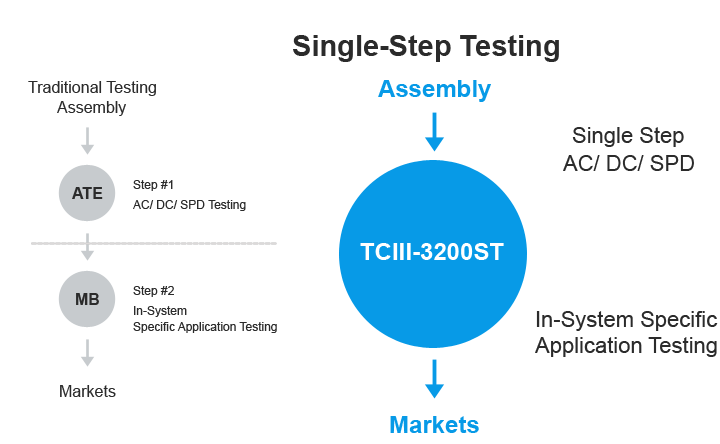 Device characterization and failure analysis tools such as Schmoo plotting and address/data error logging are included on the TCIII-3200ST to assist engineers in their design/debug processes. An optional hot temperature chamber is also available to detect marginal timing and cell storage failures that often occur in high temperature system environments. The chamber is user programmable and can be set at temperatures ranging from 32°C to 85°C with 2°C resolution.